Which Arlyn Scales Are Best for an Industrial Setting? Many facilities require the use of electrical scales, but if the substances handled or housed in the area are considered explosive or flammable, then there is a high risk of disaster involved in each daily operation. Any type of electrical equipment, including a scale, can become a foundation for ignition and could consequently cause damage or personal injury if a catastrophe were to take place. Therefore, it is necessary for a manufacturing facility to use the proper equipment that is safe for them to use if they function in extreme environments. Scale manufacturers follow strict regulations when if comes to making intrinsically safe industrial scales suitable for such locations. Because of the fragility of industrial settings, it is important for the equipment present to be resilient to the environment while also providing accurate results. Modern industrial scales are operated by electrical power. Load cells are usually powered by a voltage supply of up to 15 volts. Although this is a small amount compared to other industrial processes, it can be significant enough to make an electric scale unusable in dangerous surroundings. If the smallest spark is produced in a setting where flammable liquids or gases are present, a major explosion could occur. Therefore the equipment must be made so that it cannot give enough energy to cause any problem. A single, rechargeable C cell battery powers Arlyn Scales and a special electronic circuit is used to provide the necessary voltage levels to all scale components. The battery holder on Arlyn Scales is designed so that if there are any wires improperly shorted, the scale will not allow the battery to deliver its energy. We use stainless steel load cells, which work well with low power electronics, provide accurate results and are tough enough to function properly in an industrial setting. Our scales have large graphic digits on the display panel, which make it easy to read the weight values. Load sensors are a vital component of any scale and their failure is the most common cause of scales malfunctioning. We add an additional layer of silicone epoxy coating enriched with zinc to our load cells instead of paint. This coating includes a water resistant seal to protect the scale’s sensors, which makes it ideal for tasks requiring the weighing of liquids or harsh chemicals. The National Electric Code (NEC) was established by The Occupational Safety and Health Administration in order to provide a classification system based on the materials being used in a number of different industrial settings. This same group also set the standards for the safe installation of electrical equipment and wiring in industrial facilities. It is important that every manufacturer and employee that functions in a high-risk hazardous location and deals with explosive materials follows these regulations. The NEC is based on three criteria: type, condition and nature. Type refers to the kinds of hazardous material being handled. Condition highlights the different circumstances in which the material could become a hazard. Nature outlines the flammable characteristics of the material. There are three categories of hazardous locations, which include: Class I, II and III. When a location is classified as Class I, this means the facility works with high quantities of flammable vapors or gases in the air, which means there is a great potential for explosion. Typical Class I locations include areas, such as: aircraft hangers, petroleum refineries, utility gas plants, gasoline storage, and dispensing areas, as well as places that store or handle natural gas or liquefied petroleum gas. Locations deemed Class II are known to have situations in which combustible dust is present in the work environment. If combustible materials become suspended in the air and are ignited, they can cause an explosion. Class II locations normally include plants that manufacture, store or use aluminum, magnesium powders and grain elevators or produce plastic, fireworks, medications, cocoa, sugar, feed, flour, starch, and candles. Class III locations typically have flyings or fibers present in the area when certain materials are stored, handled and processed. They may not be there all of the time, but particular materials that build up around machinery or lighting fixtures can become flammable when there is a lot present. Class III locations usually include cotton gins, flax processing plants, textile mills, cottonseed mills and manufacturing plants that pulverize, cut and shape wood. Group A only includes acetylene, a material that makes up a small percentage of hazardous locations and consequently has a small amount of equipment available for use. Groups C and D are the most common of Class I groups. Group C includes ether and materials with similar properties. Group D includes more common substances, such as gas, butane, propane and natural gas. Metal dusts, like magnesium and aluminum, are included in Group E. These dusts can be explosive and conductive. Group F includes facilities that have charcoal dust, carbon black, coke and coal dust present. These substances are explosive but not all are conductive. Group G references locations with materials that are not conductive but can be explosive, such as: flour, starch, grain dusts, cocoa and other similar elements. Which Arlyn Scale is Right for Your Industrial Setting? There are many scales that are useful in an industrial setting. For example, a platform scale is used to weigh different sized packages, while a bench scale is used to combine ingredients into correct ratios. Industrial locations also find the need for drum scales and pallet scales. Arlyn Scales offers a variety of scales suitable for hazardous, explosive and flammable environments, such as: the industrial strength ArlynGuard Bench, Cylinder, Platform and Floor Scales. All of these scales feature heat-treated stainless steel load cells and internal resolutions of 1 part in 500,000. 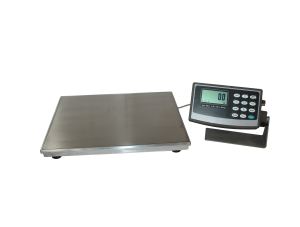 Our scales are high precision with capacities that range up to 150 pounds and sensitivity that is available as high as 0.001 pound. Abuse resistant—heavy-duty industrial grade load cells are manufactured from heat-treated stainless steel as opposed to aluminum or regular steel. Are you Interested in Learning More About Arlyn Scales? Arlyn Scales is a known leader of design and development of technology in the weighing industry and has been manufacturing electronic weighing systems for over thirty years. We continuously work to improve the designs and user-friendliness of our products and never truly see them as finished. All of our products are made in the United States and we offer factory-direct pricing for our customers and cut out the middleman. If you would like to learn more about the scales we make, please visit our website or give us a call today at 800-645-4301.